We so enjoyed presenting – with Linda Wray, Attorney at Law – at the Family Law Institute on “Client Financial Well-Being Post-Divorce.” To prepare for the talk, we poured 20+ years of serving divorcees into client checklists on topics such as creating cash for legal fees, creating a budget, etc. See more of our complimentary resources. Laura Kuntz, CPA/PFS, MBT, was interviewed by TrustWorthy, a Raymond James publication that is shared with 7,800 financial advisors. The interview can be found on our blog. Our wealth managers volunteered at the Annual 2018 Twin Cities Financial Planning Day on October 27, where Certified Financial Planners® offered the public pro bono financial planning consultations and educational workshops on retirement and Social Security planning, debt management, estate planning and more. “No strings were attached,” i.e., volunteer financial planners did not sell products or give out business cards. College students interested in the profession shadowed experienced financial advisors, seeing them at work. As fiduciary advisors who see our work as a helping profession, we valued and enjoyed this opportunity to give back. If you know of students who would like to shadow or individuals who would benefit from pro bono education or assistance, please let them know about next year’s event (likely in the fall; date being finalized) and/or recommend that they contact our office or the local Financial Planning Association Chapter at www.fpamn.org. Our Wealth Managers, pictured from left to right: Jesse Kuusisto, Mallory Kretman, CFP®, Saul Baumann, CFP®, and Laura Kuntz, CPA/PFS, MBT. Pro bono financial counseling in progress. Laura Kuntz, CPA/PFS, MBT, Mallory Kretman, CFP®, and Saul Baumann, CFP® recently attended the two-day 2019 MN FPA Symposium. This educational event was sponsored by the Financial Planning Association, one of the most respected and recognized industry associations for financial planners. The event attracted several exceptional national presenters and provided cutting edge updates in economics, investment strategy, tax reduction planning, retirement planning, estate planning and ethics. Laurel Wealth Planning is honored to share that Laura Kuntz CPA/PFS, MBT, was invited, for the third year, to the Barron’s Top Independent Women Advisors Summit, an invitation-only conference. Laura shares this about the Summit: “At this Summit, I heard from women financial advisors from throughout the nation whom I would consider very successful. Their passion to make a difference for their clients was in full view. I was grateful to attend.” The Summit offered education on investing, the world economy, financial planning strategies, and ideas to continually enhance advice and service to clients. Laurel Wealth Planning recently delivered a presentation entitled “Maximizing Your Social Security Retirement Benefits” to attendees of Financial Planning Day$ in St. Paul, MN. Financial Planning Day$ is a nationwide collaborative effort between the US Conference of Mayors, the Foundation for Financial Planning, and Financial Planning Association (FPA). During the day, Certified Financial Planners™ give pro bono advice on a wide range of personal finance topics. For the sixth year, Laurel Wealth Planning is serving as a sponsor of the American Academy of Matrimonial Lawyers MH Chapter’s annual Divorce Camp retreat in northern Minnesota. In keeping with the importance we place on keeping our industry knowledge current, LWP is pleased to contribute to this event where many of our family law attorney partners collaborate and acquire timely education in the area of family law. Laurel Wealth Planning is honored to share that Laura Kuntz, CPA/PFS, MBT was invited, for the second year, to the Barron’s Top Independent Women Advisors Summit, an invitation-only gathering. Laura says this about last year’s Summit: “When I attended last year, I was bowled over at the intelligence, success, and client-first attitude of the other attendees, who came from firms from around the nation.” The Summit’s educational focus was on financial and investment strategies and on the direction of the industry, with the goal that these insights will help us here at Laurel Wealth Planning to continually enhance our advice and service to our clients. Laurel Wealth Planning and the MN Financial Planning Association (MN FPA), recently participated in a presentation with the MN Department of Commerce on Senior Fraud Prevention. Representing the MN Department of Commerce was Commissioner Mike Rothman and Mike Marben, Director of the Department’s Fraud Bureau. This local presentation was in recognition of the June 15, 2017 World Elder Abuse Awareness Day, which was created by the United Nations to recognize the significance of elder abuse as a growing social and financial concern, public health matter and human rights issue. Laura Kuntz, CPA/PFS, MBT, was honored with an invitation to join the local board of NPH, which transforms the lives of disadvantaged children in Latin America and the Caribbean by providing loving group homes along with education from grade school through university. The 3,000 children currently living in NPH homes range in age from babies to college graduates. Since the 1940’s, more than 40,000 children have found a loving home with NPH, in Mexico, Guatemala, Nicaragua, Peru, Honduras, El Salvador, Bolivia, Haiti, and the Dominican Republic. Laura and her husband, Tom, currently sponsor five children in the homes, in Mexico, Guatemala and Haiti. Laura Kuntz was invited to offer education on key investment concepts at Ruth L. Hayden & Associates’ “Women and Money” class. You can access more information on these classes at www.ruthhayden.com. Saul Baumann, CFP®, Portfolio Analyst, has also earned the CFP® (Certified Financial Planner) designation. Saul is another member of LWP who has demonstrated the required levels of competency, ethics and professionalism necessary to obtain the CFP®. Saul successfully passed the rigorous six-hour exam in late July. The Rules of Conduct require CFP® professionals like Saul to serve as a “fiduciary” by acting in the best interest of our clients at all times. This further reinforces the fiduciary model that LWP has practiced for many years. Laura Kuntz, CPA/PFS, MBT attended the Barron’s (one of America’s premier financial magazines) “Top Independent Women Advisors Summit,” held in New Orleans. Laura was selected for this “invitation only” opportunity through Raymond James management who had the opportunity to recommend two successful women advisors for attendance. Educational topics included investment and financial planning strategies with the goal of enhancing the value provided to clients. Laura Kuntz, CPA/PFS, MBT, Sr. Wealth Manager, was invited to join a multidisciplinary panel of experts to address advanced charitable giving strategies for members of Hope Church in Richfield, Minnesota. Mallory Kretman, Paraplanner, earned the Series 65 license, which allows her to consult with clients on investment topics. Mallory earned this license through investing several months in evening and weekend study, and then passing the three-hour Uniform Investment Adviser Law Examination. This course of study addresses laws; regulations; ethics; fiduciary responsibility; and topics such as retirement planning, portfolio management strategies. Laura Kuntz, Founder of Laurel Wealth Planning, was a featured speaker at the MN CPA Estate & Personal Finance Planning Conference. Laura delivered a presentation entitled “I Don’t Want to Die Married to Him/Her” which spoke to the financial and tax ramifications for those going through divorce. ﻿Laura Kuntz was named to Raymond James’ Executive Councils in recognition of her high level of professional performance. (Also awarded 2012-2008). Membership is based mainly on assets under management, education, credentials and fiscal year production. Re-qualification is required annually since prior membership is no assurance of future membership. Laura Kuntz was invited by the American Institute of CPA’s (AICPA) to offer education to CPAs on “Using Annuities in Planning.” She was also invited by the same group to share her expertise with CPAs on “Considerations When Providing Investment Advice” in July 2009. 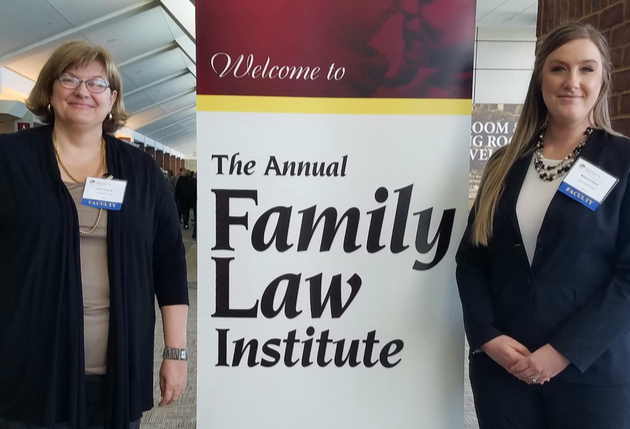 Laura Kuntz joined the faculty of the Family Law Institute, speaking on financial planning for divorcing individuals. Laura Kuntz was re-elected to the Board of the Financial Planning Association of Minnesota and asked to lead the continuing education efforts of this eight-hundred member group. Laura Kuntz was named to the Board of the Financial Planning Association of Minnesota, a nine hundred member professional association. She was also asked to help lead the association’s professional education as Director of Programs.